Stylish black wall clock with multi shelf display. Ideal home decor accessory for the modern, contemporary living room or hallway. 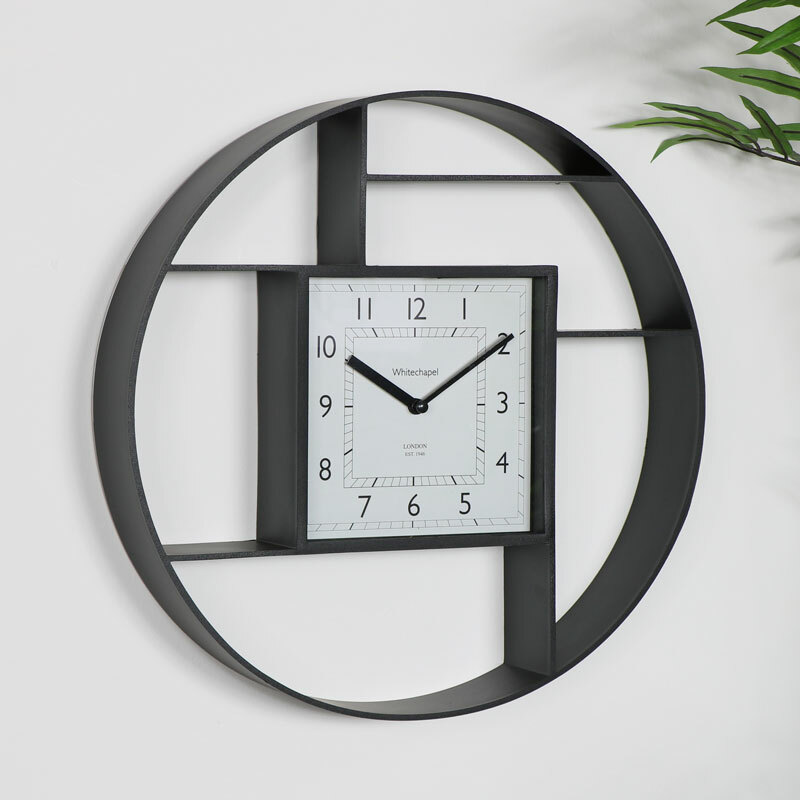 Designed with centred square shaped clock face and 4 shelves for ornament and trinket display. Practical and useful design with the shelves ideal for displaying ornaments, trinkets and even small house plants. 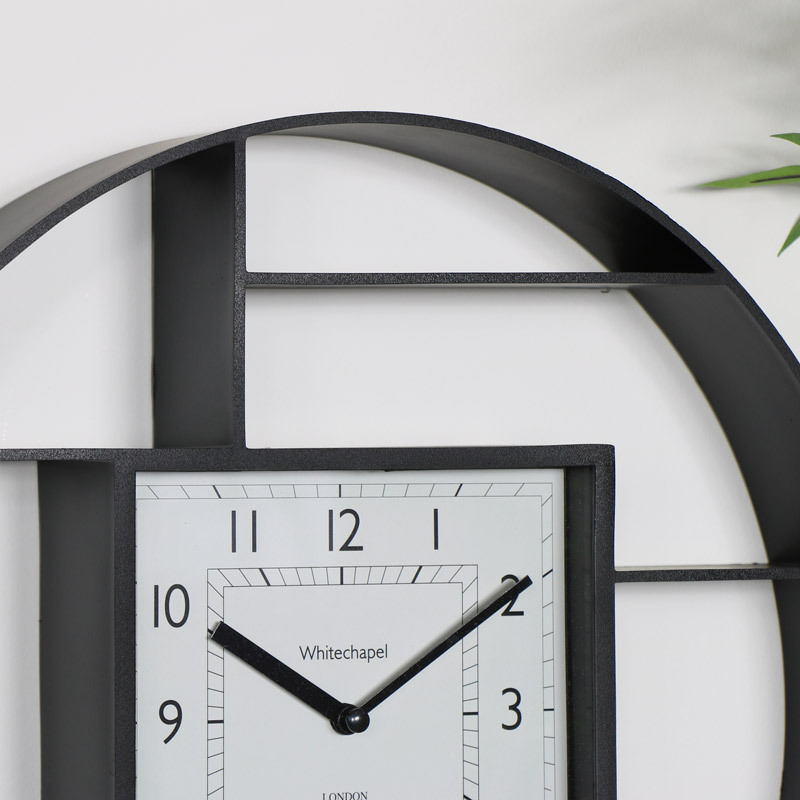 Stylish black wall clock with multi shelf display. Ideal home decor accessory for the modern, contemporary living room or hallway. 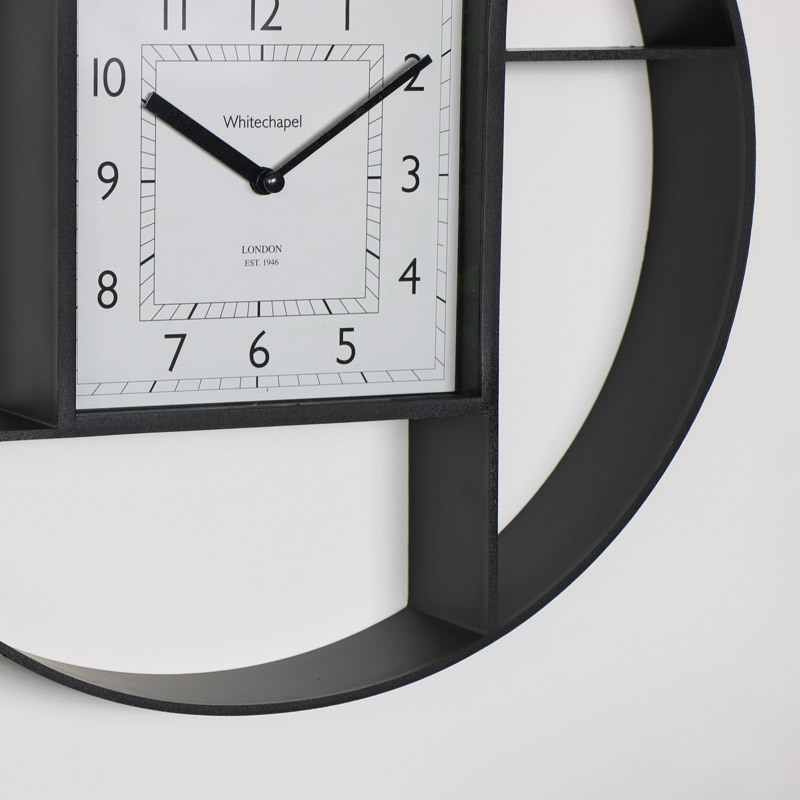 Designed with centred square shaped clock face and 4 shelves for ornament and trinket display. Practical and useful design with the shelves ideal for displaying ornaments, trinkets and even small house plants. Constructed with a round resin frame in a black finish. The clock features a 12 hour display. Easily wall mounted with a hook on the back for hanging, takes x1 AA battery (not included).